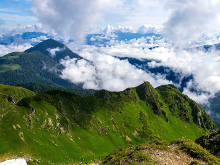 Individual/group tour to a wild region of the Carpathians. Staying at the house located up in the mountains. One day price - 1500 UAH per person in a group tour. Full tour price - 5000 UAH for 4 days in a group. 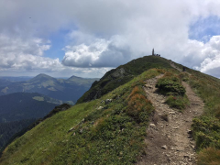 If you are looking for a wild and scenic hiking trip at the Carpathian mountains with the option of joining the group for only 1 day or more, then this tour is perfect for you! The biggest advantage of this tour is that you will be staying at the house located on the high of 1470m in the mountains in Marmarosy and make the day hikes without the luggage and food. There is everything for a comfortable stay at the house: a kitchen, warm rooms with beds, a sauna on wood, electricity. So, carry mats and sleeping bags are not needed! The Marmarosy massif is also being called the Hutsul Alps. The slopes of these mountains are extremely beautiful, steep, with rocky gorges and boats of glacial origin. The advantage of this journey is that hiking will be done without personal staff – the base camp will remain below, and climbing will be of a radial type – small backpacks and a minimum of necessary things. 08:00 – meeting with the group in Yaremche town and going to Dilove village. There is a border guard post. Required passports for registration (!). After the passport control we start the hike. We are moving along the valley of the White Flood to the Strungy Valley. At first, the route is smooth and straight, followed by a stream of valleys. Then it becomes steeper and pass into serpentine. Closer to the evening we arrive at the Strungy valley, where we stay overnight in our house. The length of the route is about 14 km. Duration of the hike is 6-7 hours. We wake up and have a breakfast, we leave everything in the house and go no a hike with light backpacks. Moving to Mount Pip Ivan Marmorskyi (1937 m) is the highest peak of the Hutsul Alps. The mountain has very steep slopes and valleys that have once exhaled the glacier. Snowballs on the slopes in some years can be seen even in August. 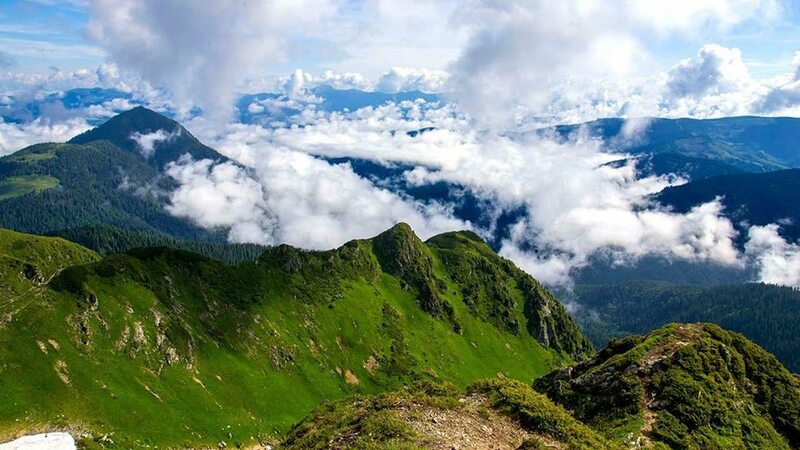 It opens the beautiful views on the Romanian Carpathians, Chornogora and Svydovets ridges. Having enjoyed such beauty, we slowly descend to our house. In the evening, we will be warming up in sauna, prepare a delicious dinner to restore strength before the next hike, which promises to be no less interesting. Today we are going to the mountain with an interesting legend – Berlybashka. 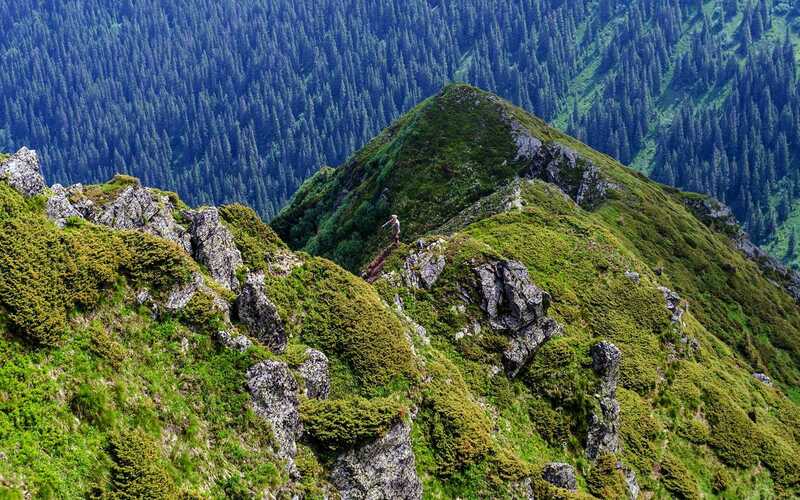 The route will first pass through the picturesque cross-country trail to the Lysycha valley. Then we will hike the peak of the mountain. Admiring the views, we will have the light snacks and go down to the house on the Strungy valley. The length of the hike is about 10 km. Tired and happy we return to the house, have a dinner and warm sauna. Taking into account the optimum time for breakfast, we collect the camp and go down. The descent will go through an interesting route – the crossroads of the spit of Pip Ivan. 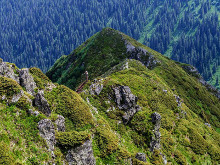 We will be observing the magnificent panoramas of Chornogora and Svydovets ridges, after what the route goes down to the forest of beeches and spruces ending at Dilove village, the finish of the hike. On the way to Yaremche, we can make a stop in the center of Europe (4 km from the center of Dilove village) and enjoy a local Carpathian food-bograch. We can also taste mineral water in Kvasy. Duration of the transportation – 5-6 hours. Distance from Dilove village to Yaremche town – about 100 km. 1500 UAH per person per day if you choose the option of 1-2 day tour. 5000 UAH for a 4-day tour. - Registration of permission at the border guard service.